In about 25 BC tribesmen of the kingdom of Meroe placed a bronze head of Augustus, cut from a full-length statue, beneath the steps of a temple of victory: the decapitated head of the Emperor was thus regularly trampled underfoot. Two millennia later, during the second Gulf War, Iraqis ‘insulted’ a toppled bronze statue of Saddam Hussein by beating it with their shoes. Do these chronologically distant but apparently related examples of the defamation of images imply that the persons represented were regarded by their detractors as in some way ‘present’ in the images? 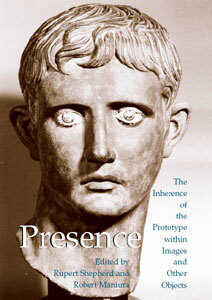 Presence: The Inherence of the Prototype within Images and Other Objects reconsiders the notion of ‘presence’ in objects. The first book to address the issue directly, it contains a series of case studies covering a broad geographical and chronological range from ancient Greece and the Incas to industrial America and contemporary India, as well as examples from the canon of western European art. The studies reveal the widespread evidence for this striking form of response and allow readers to see how ‘presence’ is evoked and either embraced or repressed in differing historical and cultural contexts. Featuring a variety of disciplines and approaches, the book will be of interest to students of art history, art theory, visual culture, anthropology, psychology and philosophy.